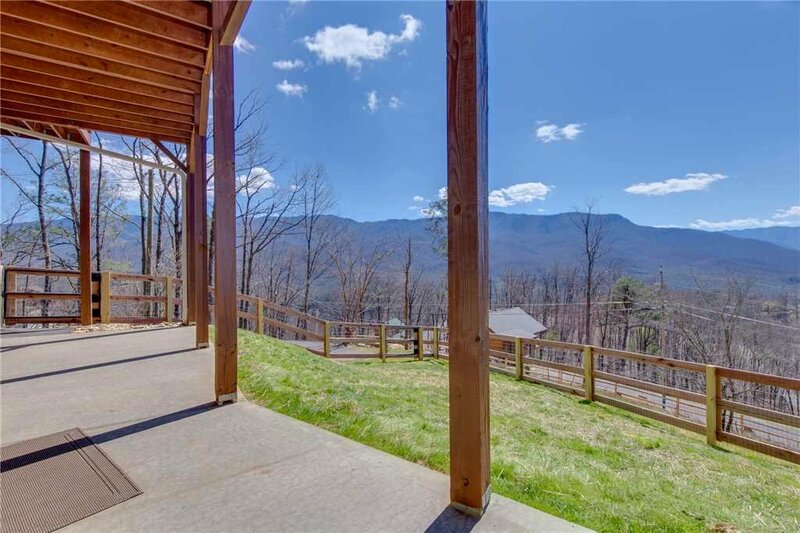 A spectacular home in a spectacular setting: That’s Eagles View in a nutshell. 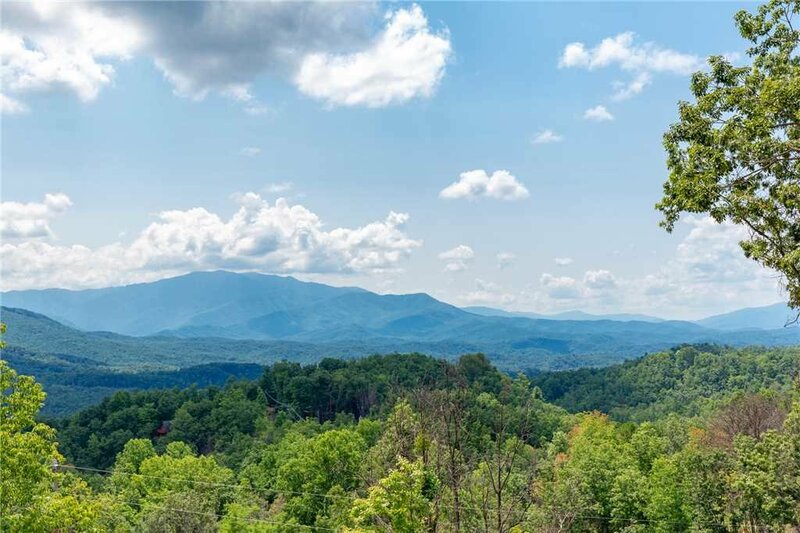 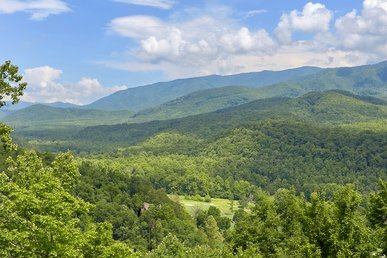 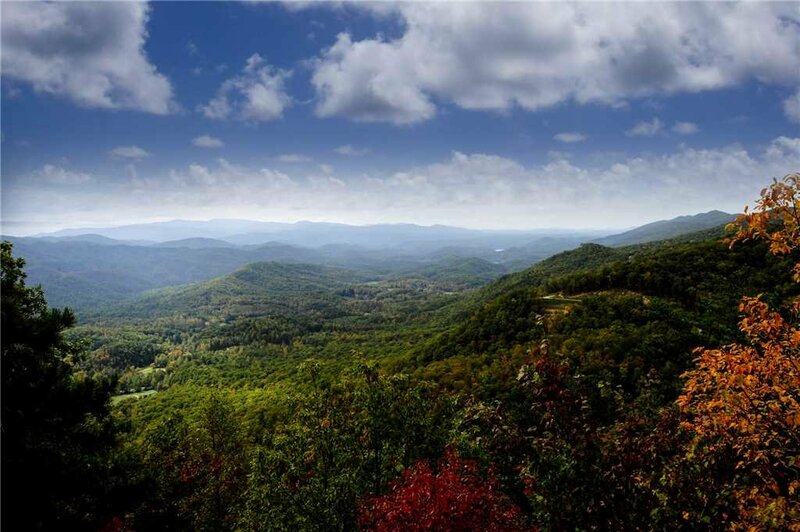 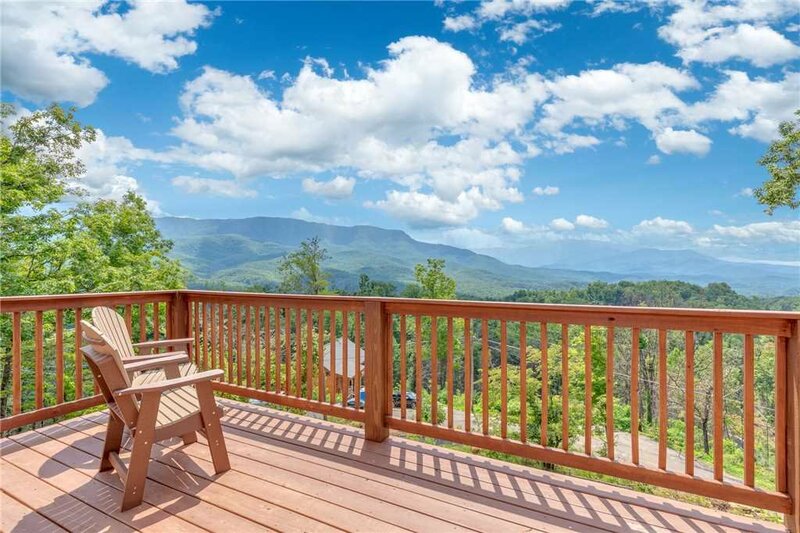 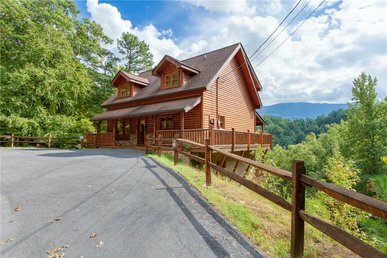 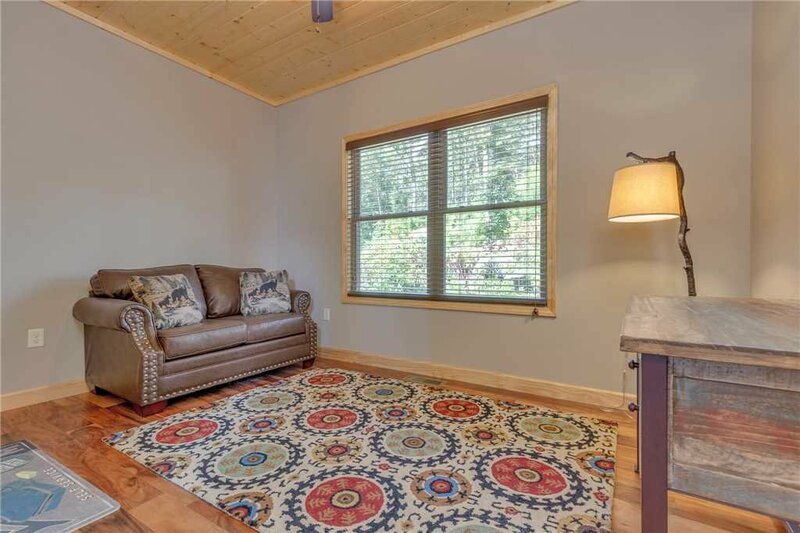 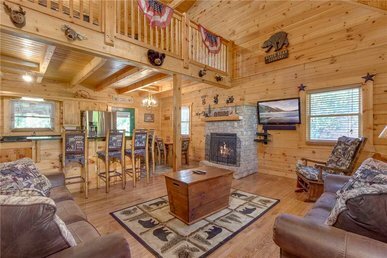 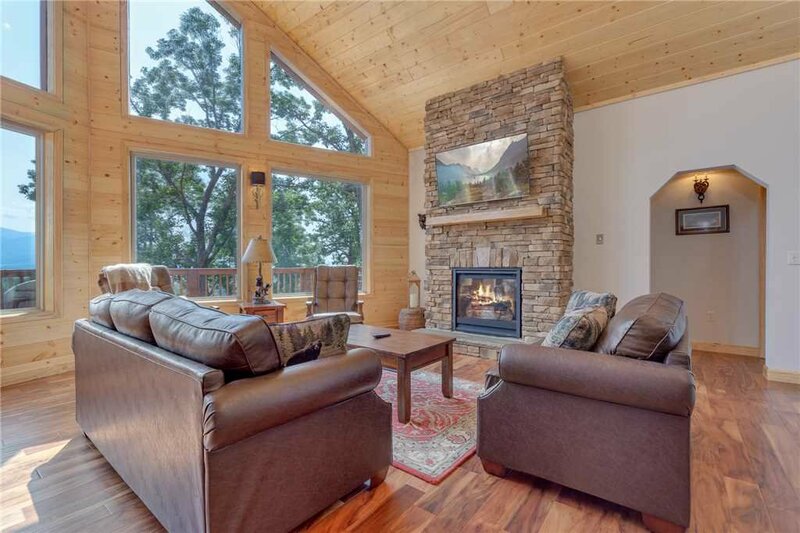 Located in Gatlinburg’s upscale Cobbly Nob neighborhood, itself part of a 1,000-acre resort, the four-bedroom lodge enjoys stunning views of the Great Smoky Mountains. 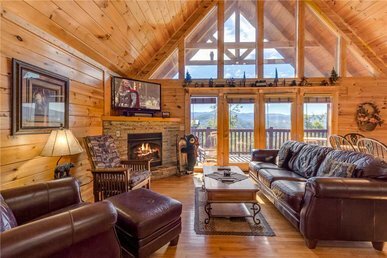 You’ll almost feel as if you’re in an eagle’s aerie when you kick back on the huge wrap around deck and watch falcons soar across the mountaintops and listen to wrens and warblers in the woods below. 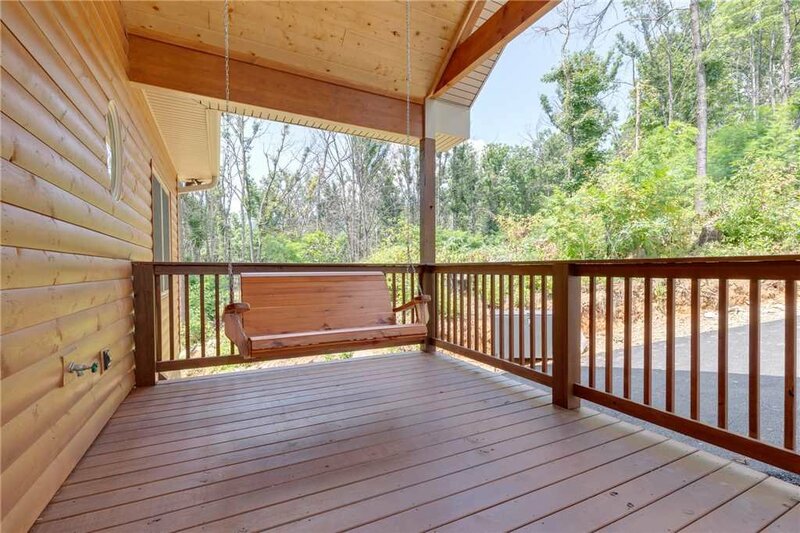 In addition to plenty of chairs on the deck and the patio, Eagles View has a porch swing where you can revel in the glorious scenery. 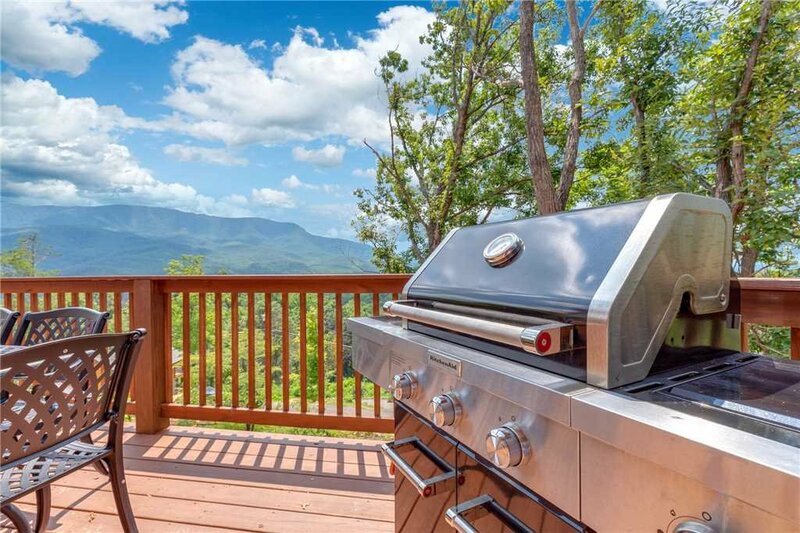 You can enjoy your meals amid the crisp mountain breezes too, at either the patio’s picnic table or the deck’s elegant dining table. 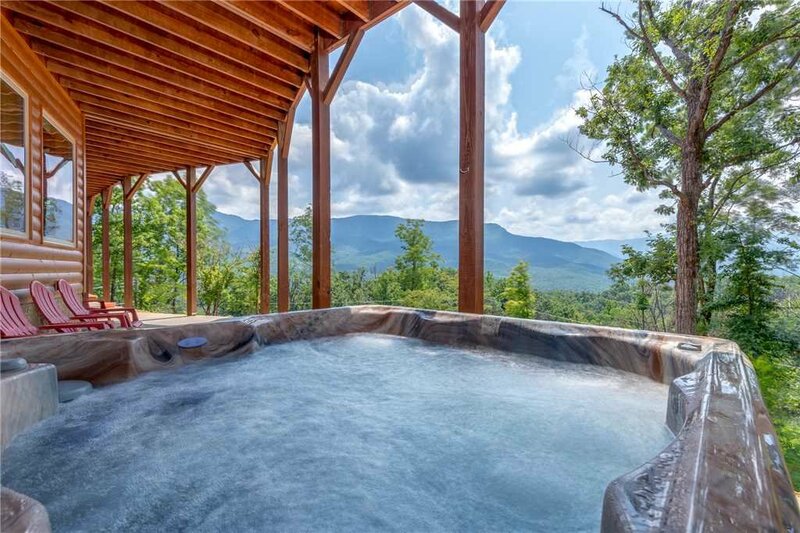 Perhaps the best way to savor the surrounding natural beauty, though, is while soaking in the patio’s hot tub. 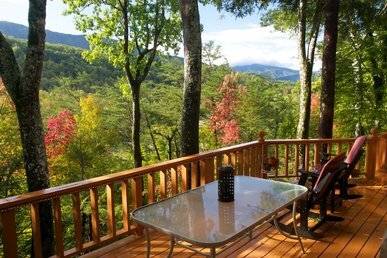 Admiring the towering Smokies or the star-studded night sky as you luxuriate among the steamy jets of water might be a highlight of your stay. 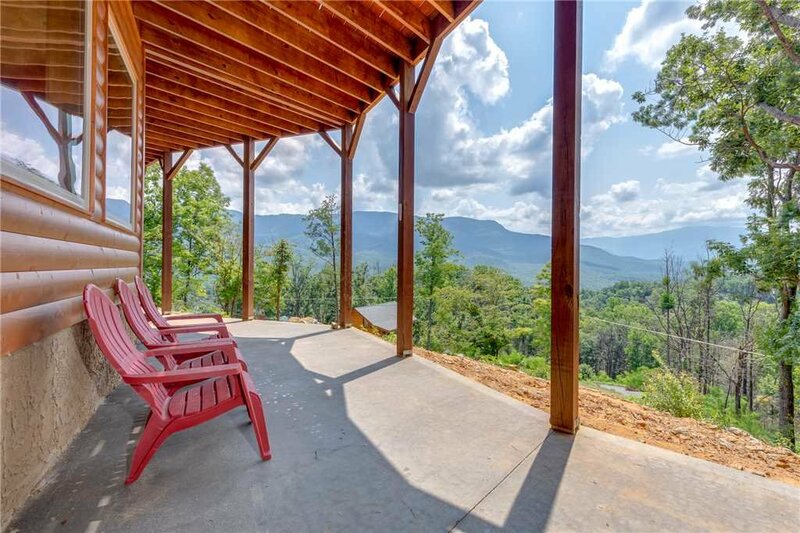 You can gaze at the views from inside Eagles View as well. 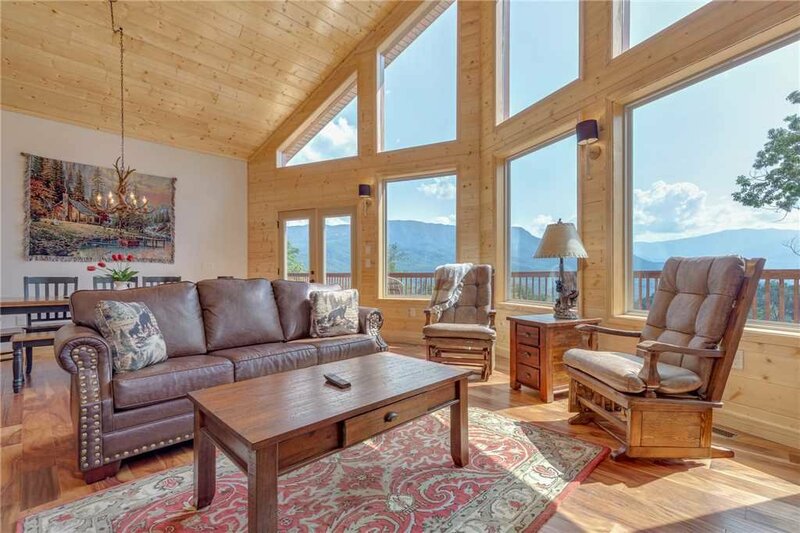 The great room, for instance, has a wall composed of picture windows. 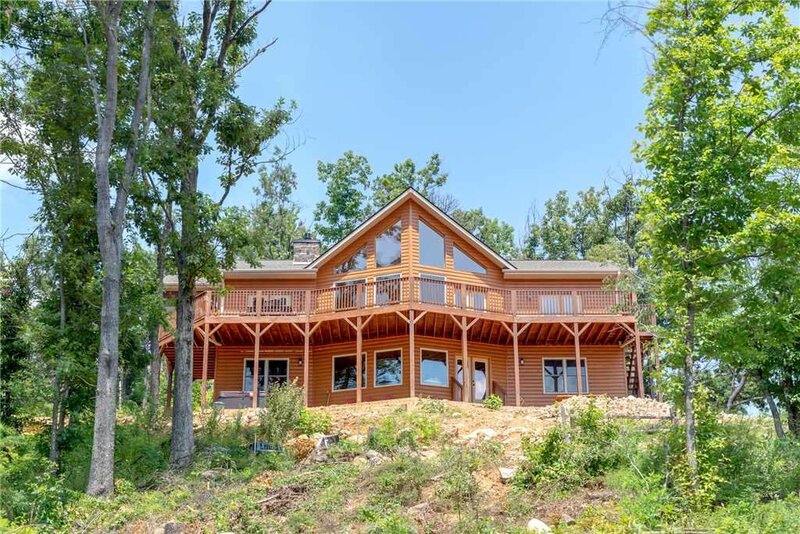 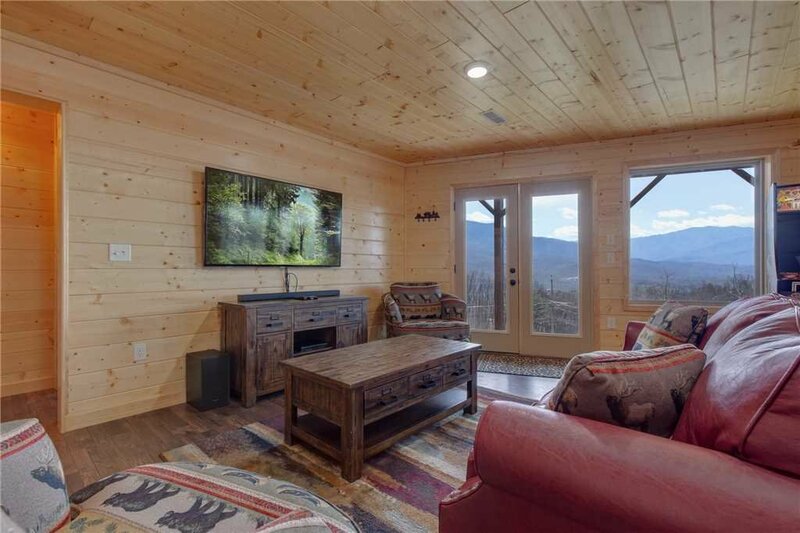 Whether you’re sprawled out on a leather sofa watching TV, playing a game at the dining table, or nestled in one of the rockers surfing the web, you can look out at the mountains and the seemingly endless skies. 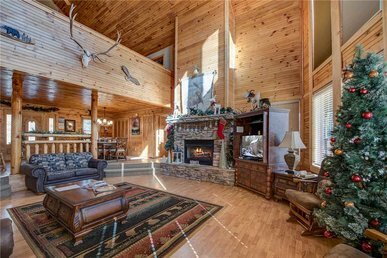 In addition to plenty of comfortable seating, the living area of the great room has a fireplace—perfect for chilly winter evenings—and a large flat-screen TV. 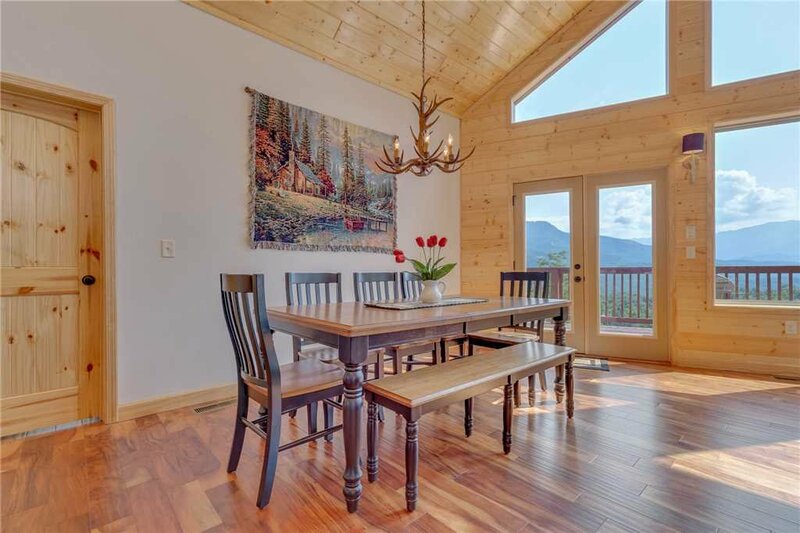 The dining area includes a table that easily seats eight and a breakfast bar that seats three more. 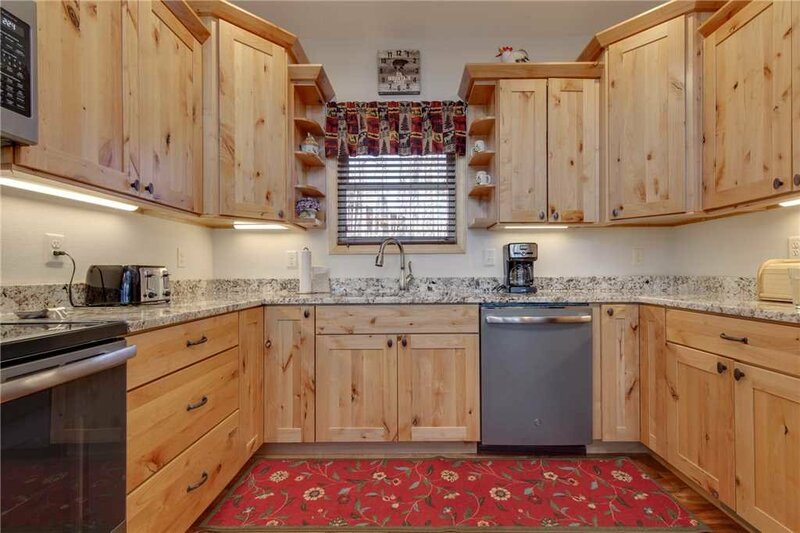 On the other side of the breakfast bar is the roomy kitchen. 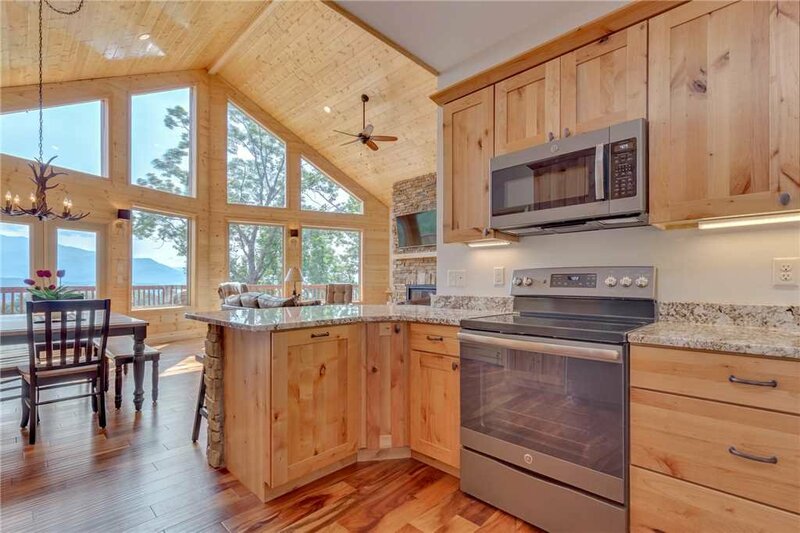 Equipped with stainless-steel appliances, gleaming countertops, cookware, tableware, and plenty of storage, the kitchen makes cooking a pleasure. 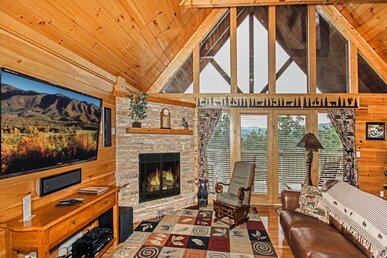 Eagles View has a game room, furnished with a table for four and a flat-screen TV. 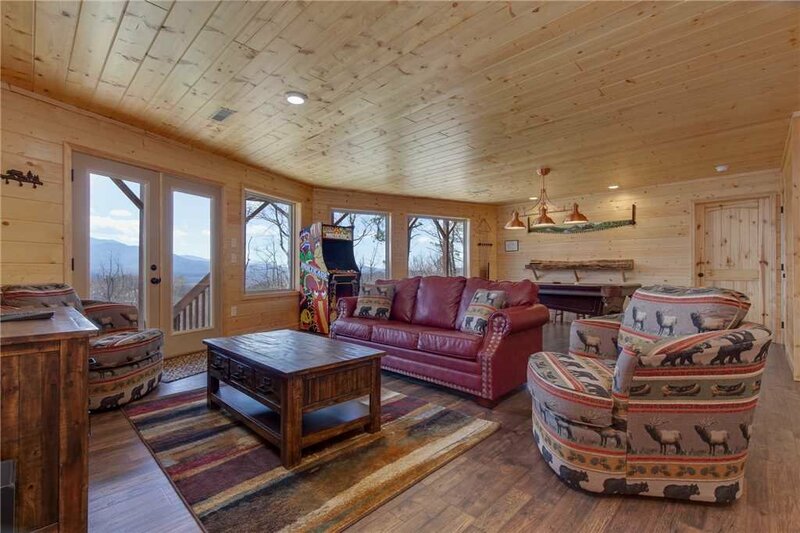 There’s yet another sitting area, a cozy spot where you can head for some privacy. 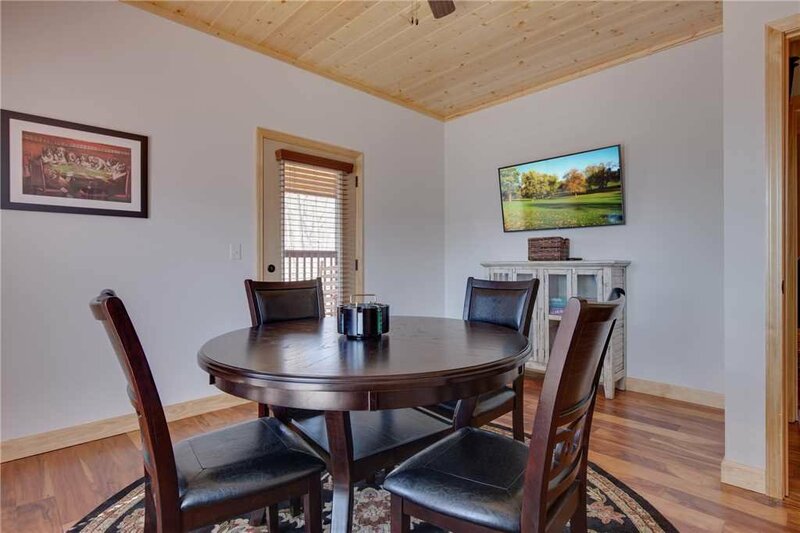 One night you might want to serve the kids here so that the adults can enjoy a more leisurely dinner in the dining room. 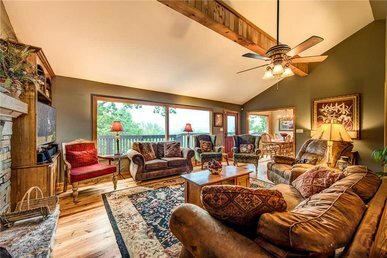 The home has a second living area as well. 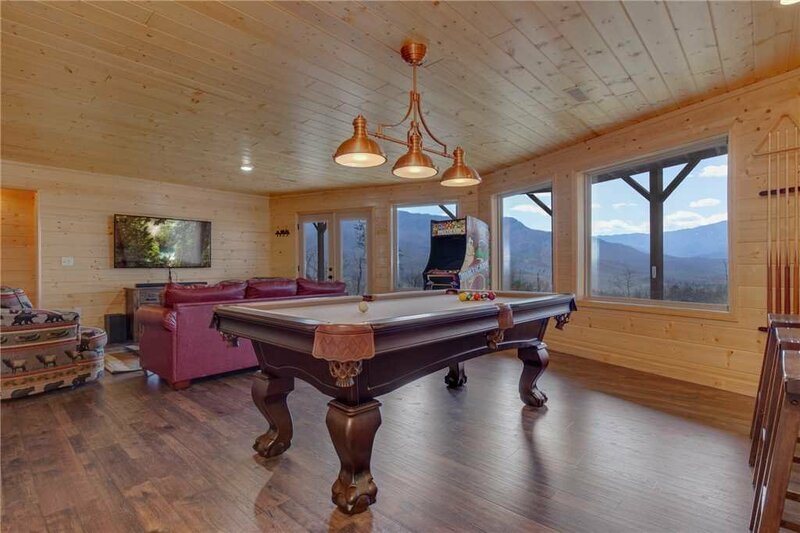 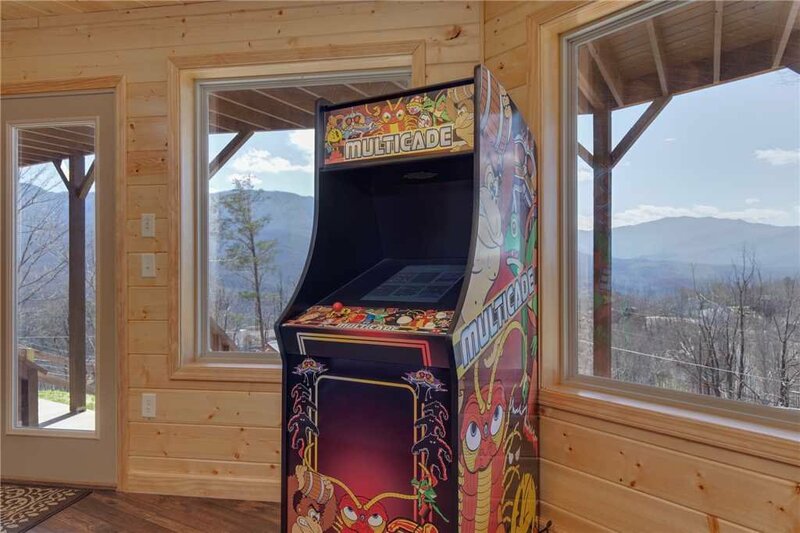 Like the great room, it features plenty of luxe seating, a large flat-panel TV, multicade arcade system, and beautiful mountain views—and it has a full-size pool table to boot. 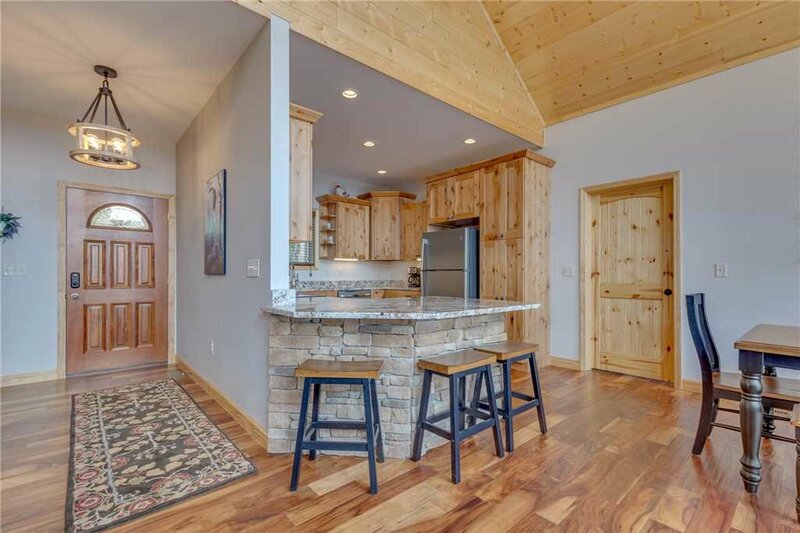 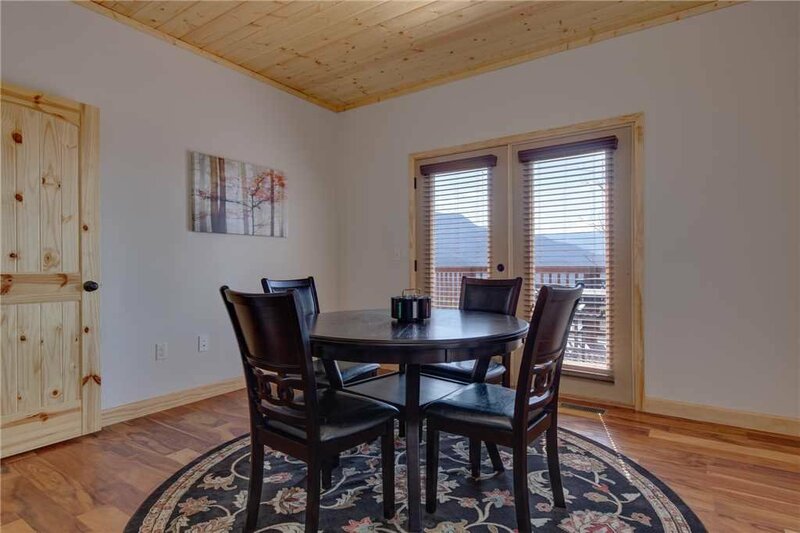 One of the many fabulous features of Eagles View is that it offers both large rooms where the whole gang can hang out and smaller spaces for one-on-one chats and private time. 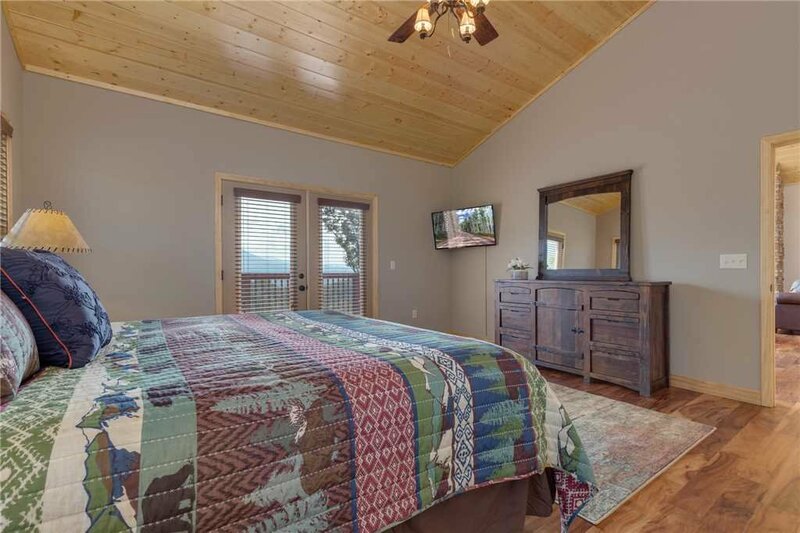 Two of Eagles View’s four bedrooms are suites with a king-size bed, a flat-panel TV, and a private bathroom. 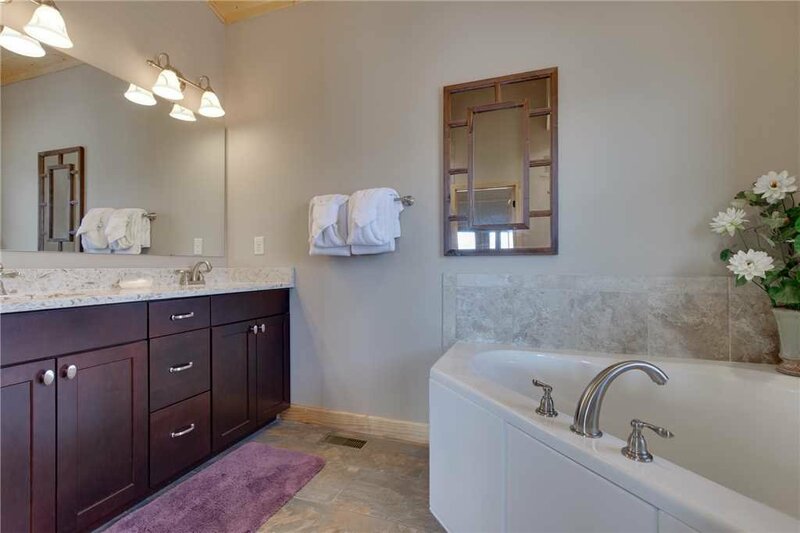 The master suite is especially impressive. 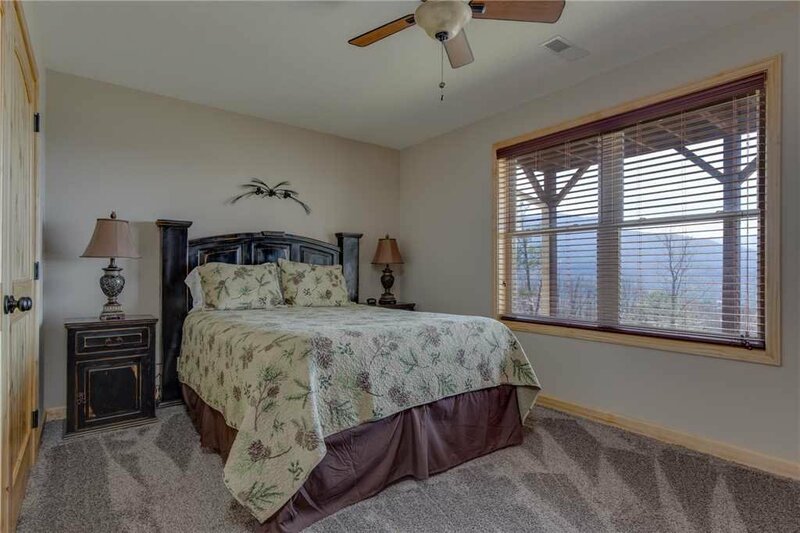 It includes French doors that open onto the deck, so you can indulge in late-night stargazing before slipping under the covers. 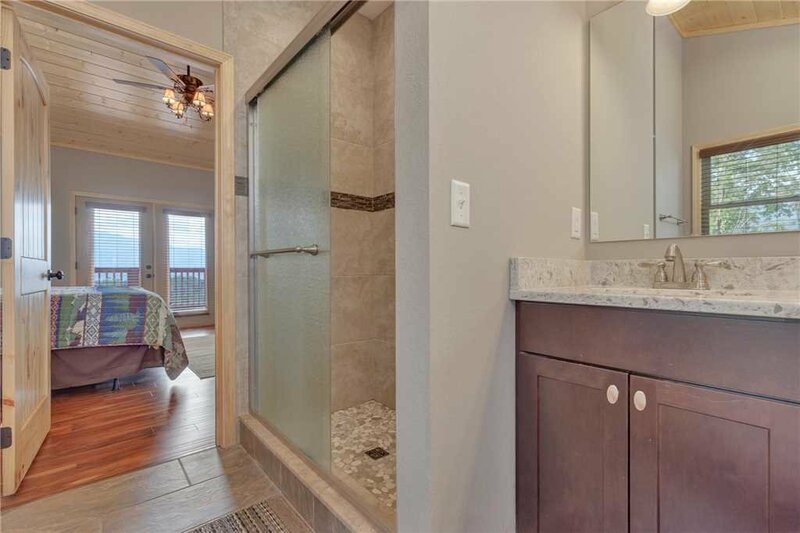 What’s more, its en-suite bathroom has both a shower and a large soaking tub. 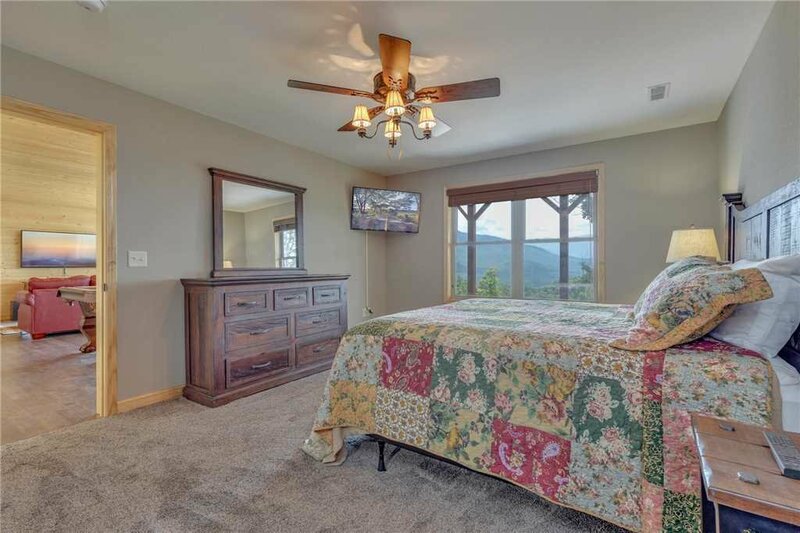 The third bedroom sleeps three people in twin-over-double bunk beds. 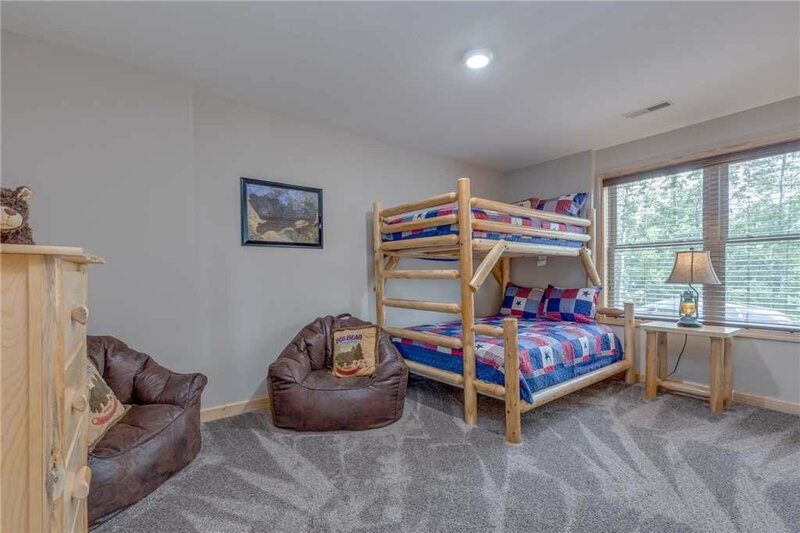 The kids will love this room, not just for the bunk beds but also the beanbag-style chairs. 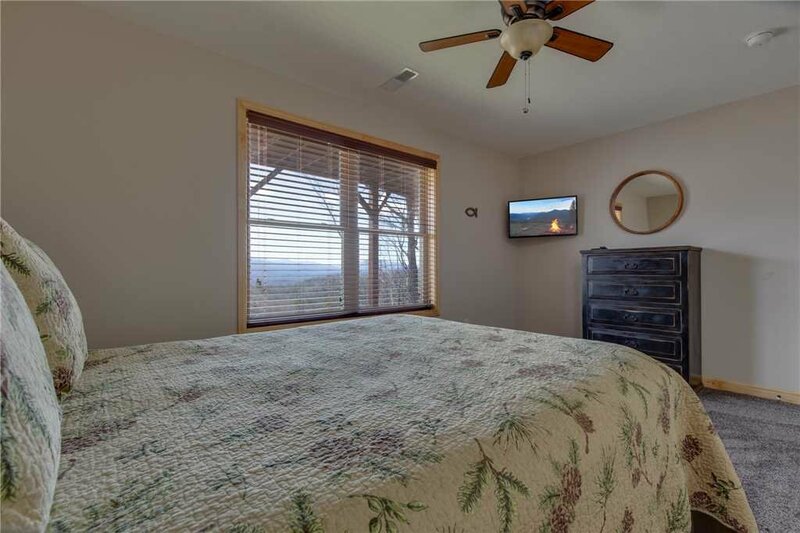 The fourth bedroom includes a queen-size bed and its own TV. 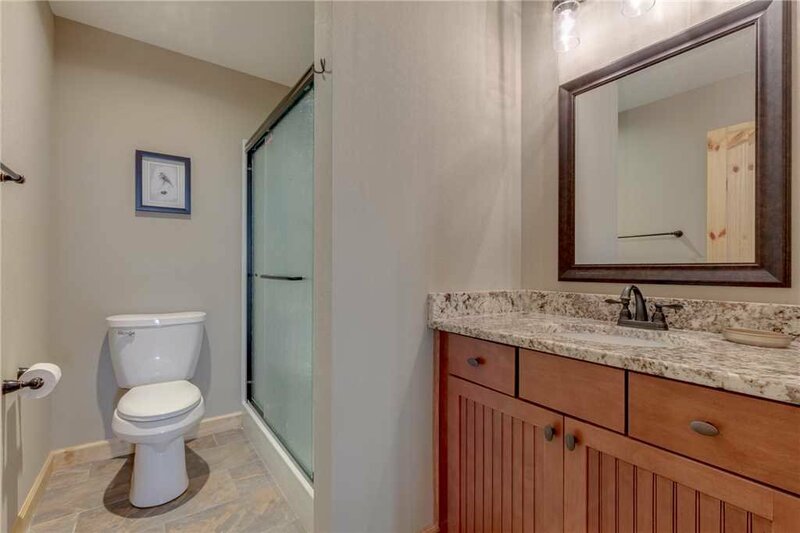 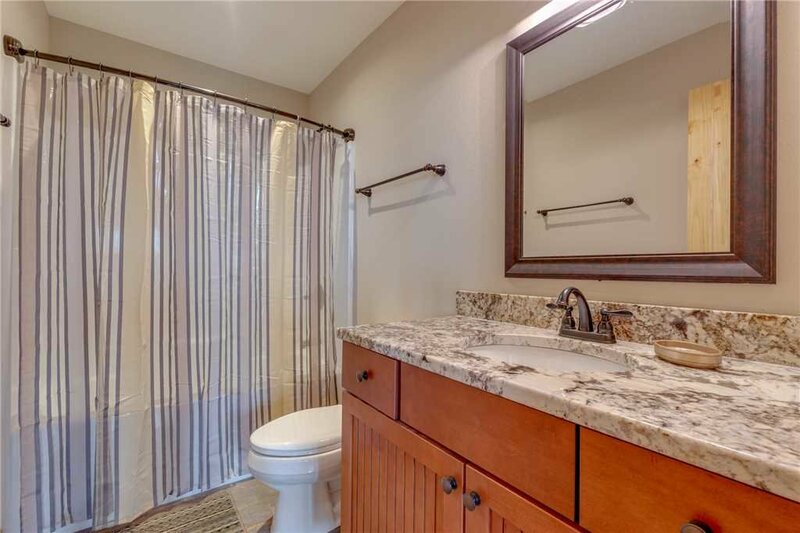 These rooms share the third full bathroom, and there’s a convenient half-bath as well. 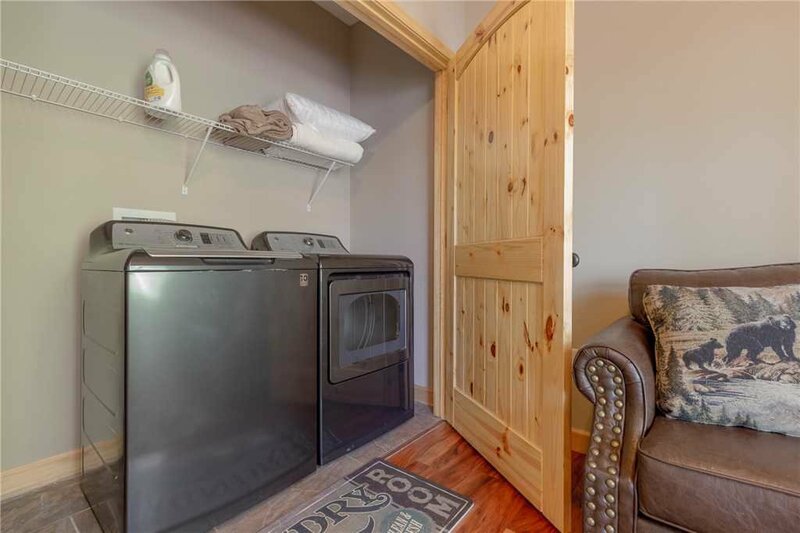 Speaking of convenience, Eagles View has its own full-size washer and dryer. 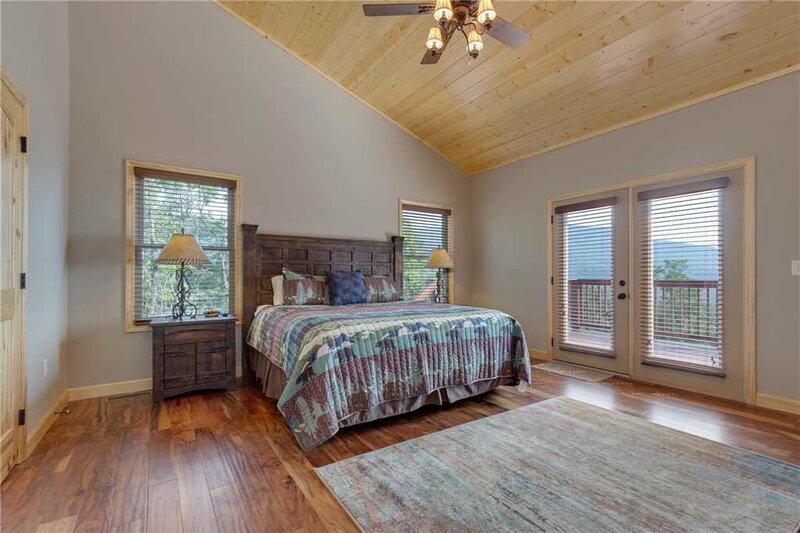 And one of the home’s numerous sofas opens into a bed for two, so that up to 11 people can spend the night. 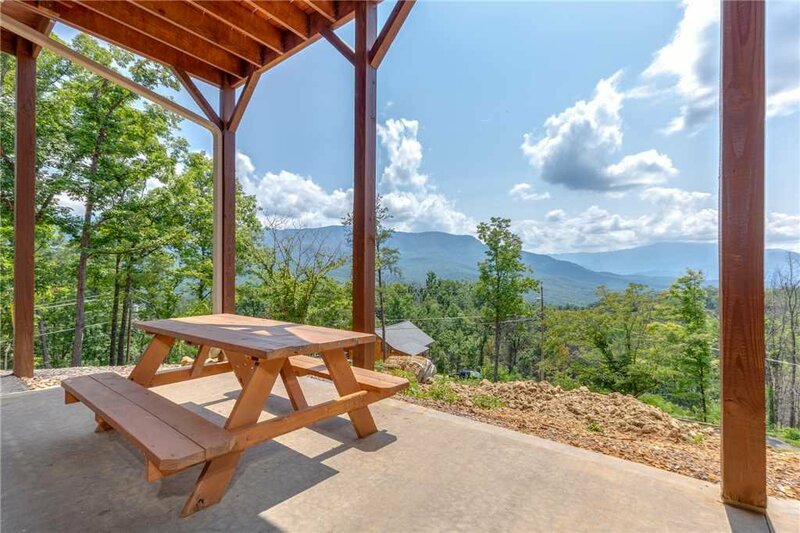 When you stay at Eagles View in the summer, you’ll have free access to Cobbly Nob’s two swimming areas, and year-round you can stroll among its walking trails. 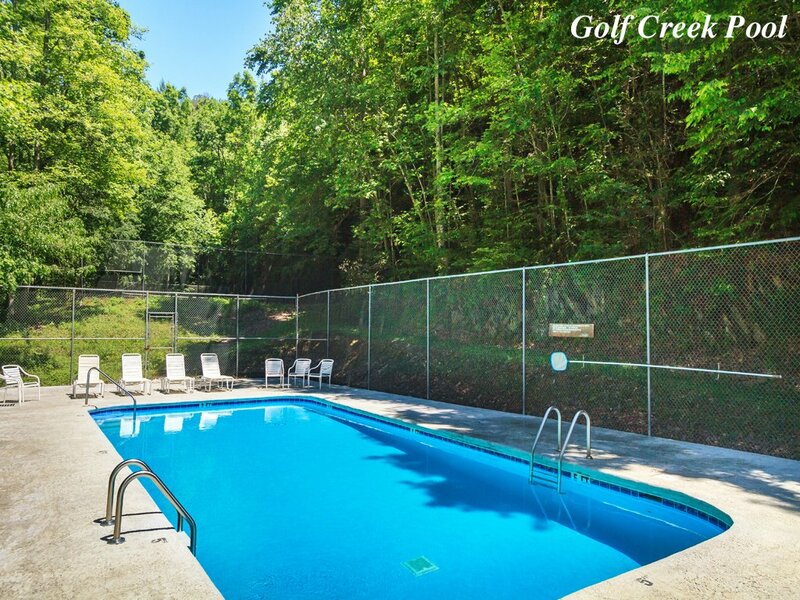 At the foot of Cobbly Nob is Bent Creek Golf Course, designed by Masters and British Open champion Gary Player. 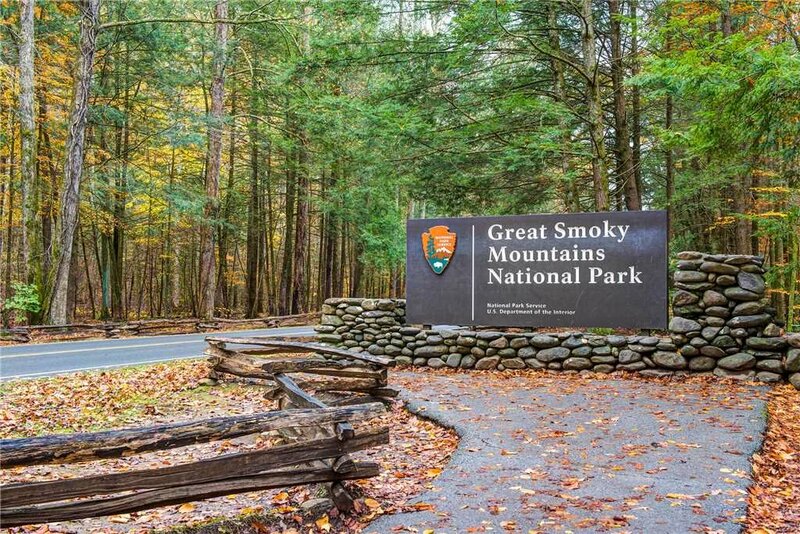 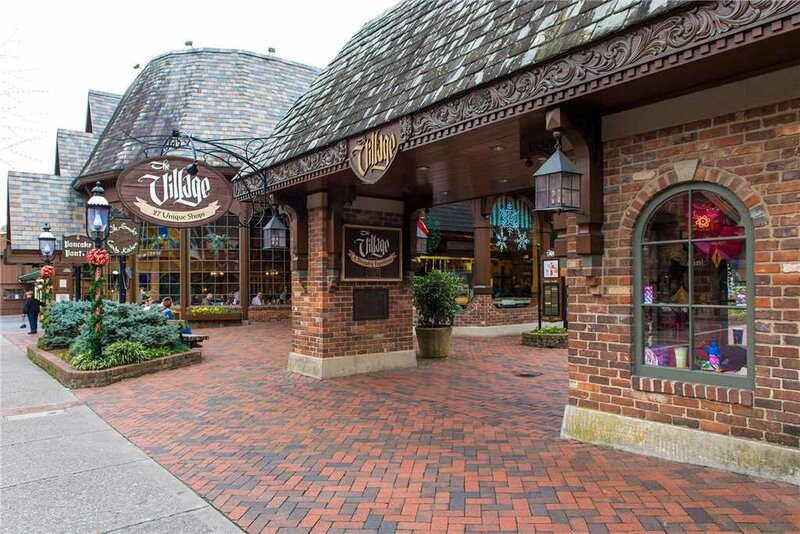 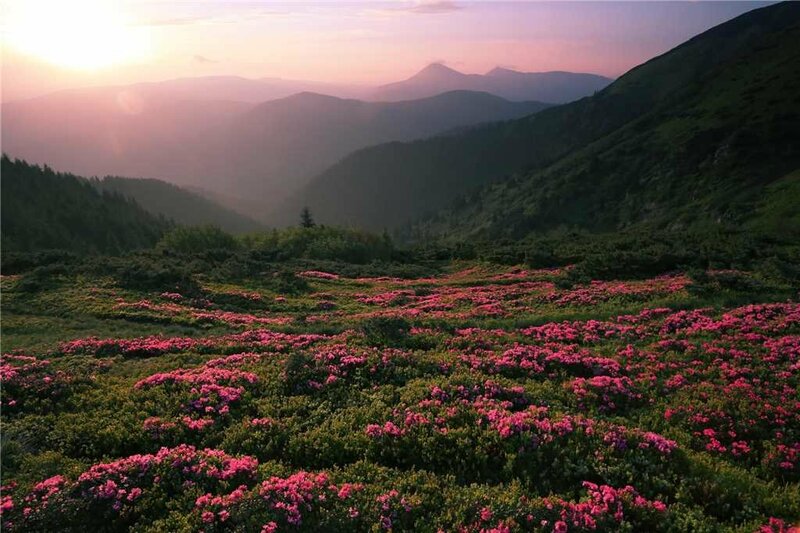 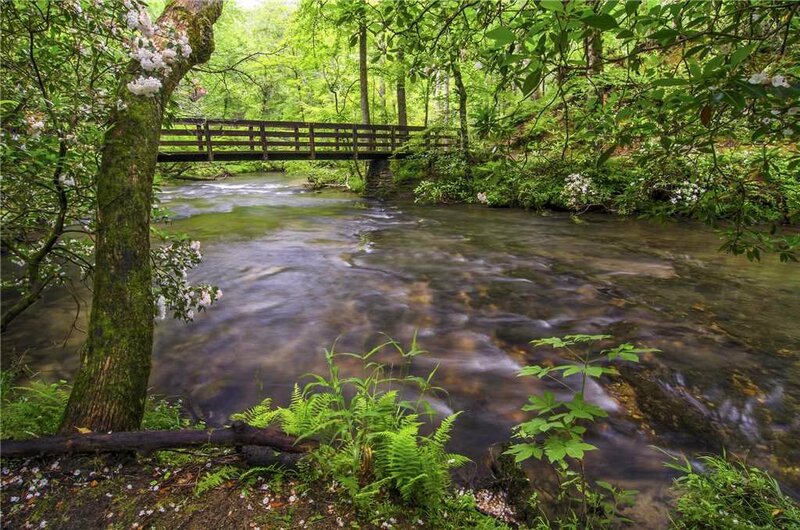 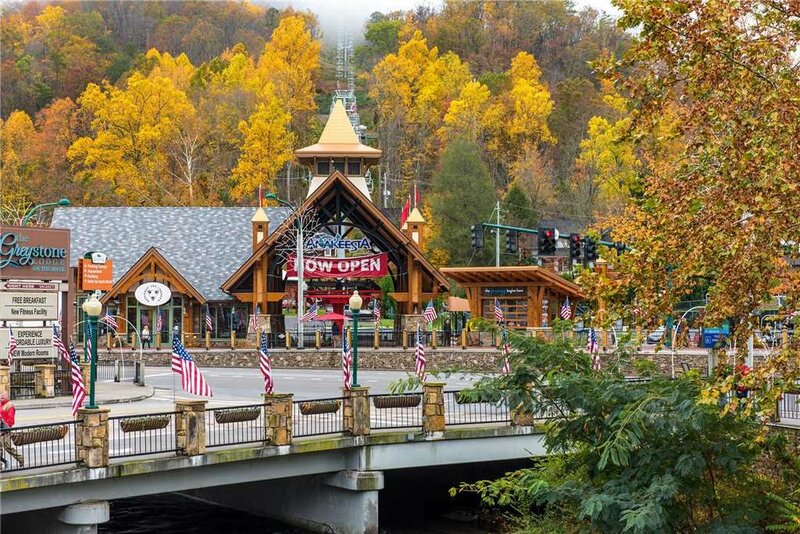 In addition, the attractions of both Gatlinburg and Pigeon Forge are just a short drive away. 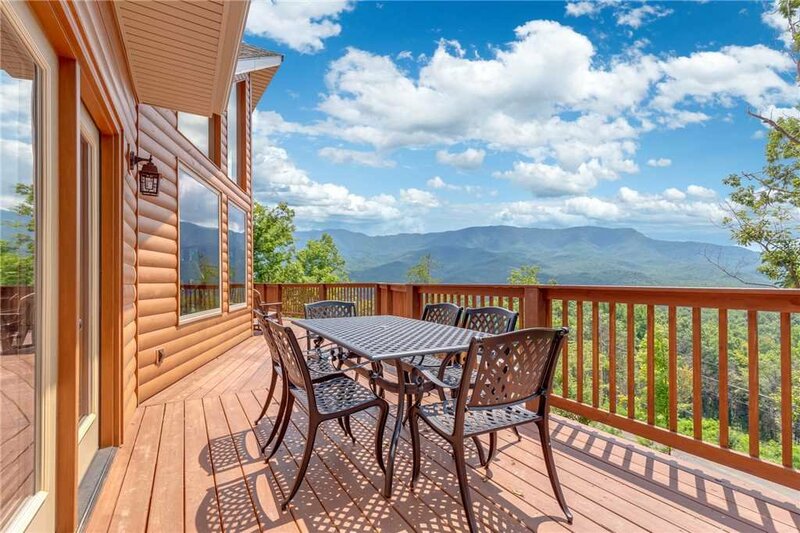 Smoky Mountain retreats don’t get much better than Eagles View. 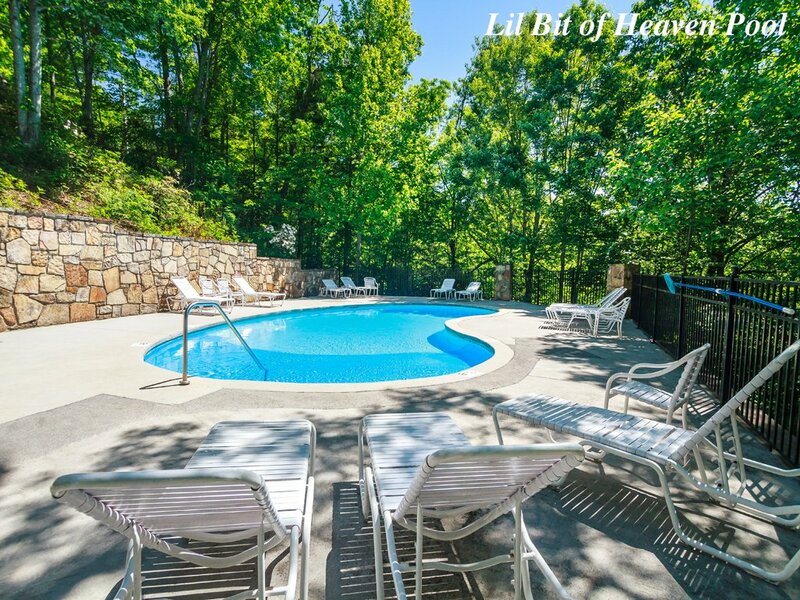 Book your stay today, and get ready to make memories that will last a lifetime.